Your fishing enjoyment is guaranteed on any of our seven high-speed charter vessels. Six of our boats are new aluminum custom-built 30-foot charter vessels, set up with twin 250hp four-stroke Yamaha motors with digital electronic controls. Each of these vessels can hold six clients plus crew, and all clients can be seated in the cabin at the same time. This means very comfortable and personalized service for everyone in your group. 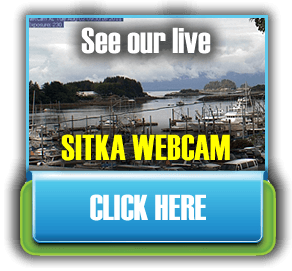 The boats are fully equipped with state-of-the-art electronics and safe walk-around decks for your fishing comfort. All of these boats also have modern stand-up heads on board. The names of these six boats are: “HIGH ROLLER”, “FULL HOUSE”, “TRIPLE PLAY”, “CHECKMATE”, “BINGO”, and “BANK ROLL”. 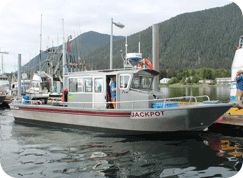 The JACKPOT is our seventh vessel in our fleet. It has shiny brand new 2014 twin 250 horsepower four-stroke Yamaha motors powering this 32 foot vessel. Similar to our other boats it has state-of-the-art electronics for navigation and putting you where the fish are. This vessel cuts through the water with ease for your comfort and is equipped with a forward head in the fo’c’sle. Fully walk-around decks allow you to follow your fish around the boat during those exciting fights.